and WillM@seschurch.org for Middle School (Alive) and High School (Decision Point) students. 1st and 2nd Year Confirmation, and 2nd Year 1st Communion. REQUIREMENTS: Registering for Religious Education is a Three-Step Process. To register your child/children for Religious Education (K through Confirmation). Please follow the steps below. 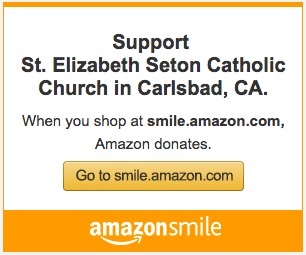 NOTE: You may skip this step if you are receiving donation envelopes from St. Elizabeth Seton or if your child or children attended Religious Education last year. 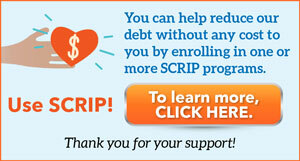 To complete this step, CLICK HERE. When you are finished, close the registration window and go to Step 2. 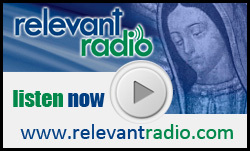 If your child or children attended SES Religious Education classes last year, CLICK HERE. Upon completing and submitting the applicable form, you will be directed to the FEE ORDER page to pay by credit or debit card. Registration is not complete until we receive payment. If payment is delayed, registration will be delayed. Payment is for RE classes for September 2018 and May 2019. Payments are not tax deductible. IMPORTANT: A child that is new to the Religious Education program must have a copy of his or her baptismal certificate on file with the church. You may scan the certificate to a PDF or take a photo of the baptismal certificate and attach it to an email to PattyM@seschurch.org. Please make sure the image file clearly captures the entire document. 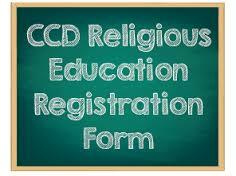 Paper Registration Forms for Religious Education are available only during office hours in the Religious Education office. Office hours are Monday, Tuesday, Wednesday and Friday from 11:00 AM to 3:00 PM. The Religious Education Office is closed on Thursdays. When your are finished go to Step 3. To receive instant text messages or alerts regarding your child’s participation in Religious Education at St. Elizabeth Seton, we highly recommend that you register to receive SMS text messages and emails via Flocknote. It’s our way of staying in touch with parents to ensure a positive experience! CLICK HERE to sign up and receive Flocknote messages. You can also use this link to log in if you already have a Flocknote account. Please share our program with your family and friends.